Feelings Essential Oil Collection Kit supports the harmony and release of negative emotions and memories; and reprogramming of belief systems. Transform and discover more of yourself using this kit. Contains SIX therapeutic grade essential oils of 5 ml each designed to release negative emotions and promote positive emotional and spiritual wellbeing. It is estimated that almost 100% of our belief system is established by the age of 8 years old. We are a collection of the positive and negative beliefs that were programmed and that were established during childhood. Use this kit to discover and transform more of ourselves into positive energy that attracts wellbeing, success and opportunity. Want to Purchase Feelings Essential Oil Collection? Go to the Oil Shop! Buy Feelings Collection Here! What is in the Feelings Essential Oil Collection? 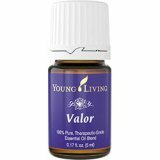 Contains SIX therapeutic grade essential oils of 5 ml each. They are listed below. Click on the link for a brief description of each oil. These oils are also for individual purchase; however you will receive a better value when purchased together! What are the Documented Uses for Feelings Essential Oil Collection? Use this kit to discover and transform more of ourselves into positive energy that attracts wellbeing, success and opportunity. Encourages positive emotions while releasing negative patterning. Also check out the section on emotions. What is the Spiritual Influence? Please refer to the links for the individual oils. All of these oils will help to open our heart and mind to our spiritual connection to our God and Source and unite body, mind and spirit. Can this oil be used for Animals? Please refer to the links for the individual oils. Also check out the section on emotions.